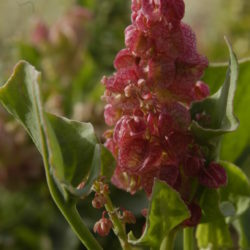 Rumex vesicarius is known in Arabic as humeidh. 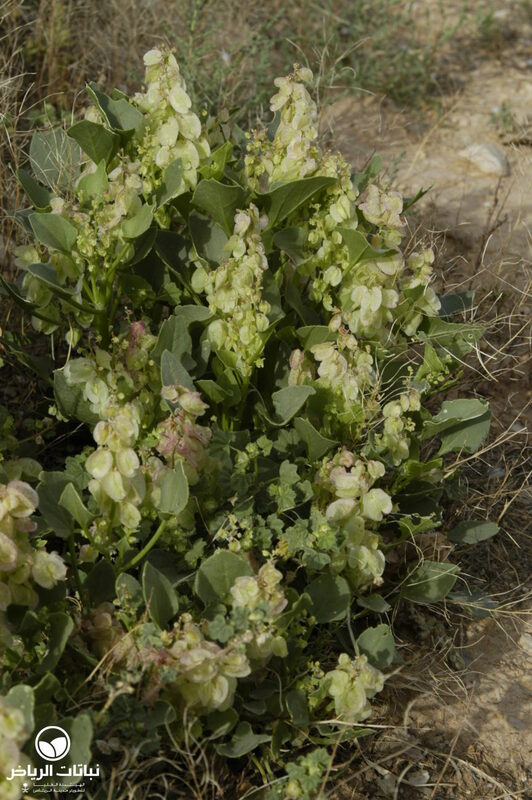 This annual herb is native to the Arabian peninsula and can be found throughout Saudi Arabia. The annual is fast growing and reaches 50 cm in height and width. The shape is that of a dwarf shrub, regular and upright. 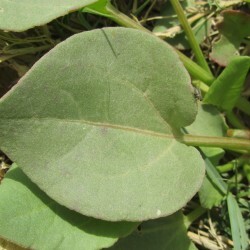 The fleshy leaves are green ovate-triangular. The leaves are edible. 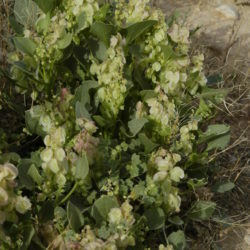 The pale-red, raceme-like flowers appear in spring. In full sun, the winged bloom becomes dark red. The 5-mm seeds grow inside the winged flower. Propagation can be done by seeds. Humeidh grows in silty, loamy soil, and has a lateral root system. Branches are fragile and may need wind protection. It is quite tolerant to salinity and needs moist soil. 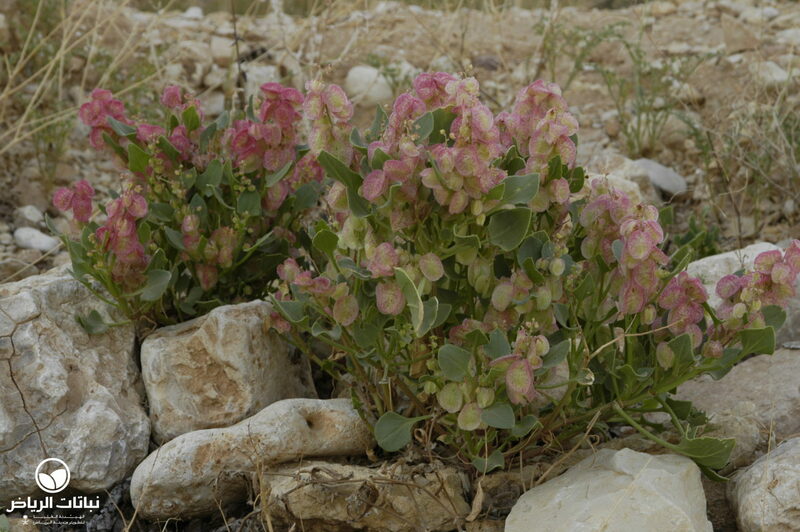 After rainfall in late winter and spring, it is very widespread in Arriyadh and the surrounding area, lending desert landscapes a soft reddish bloom. 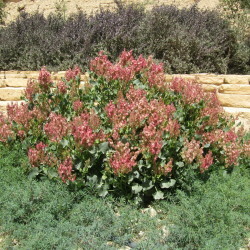 On the escarpment of the Tuwaiq Palace in the Diplomatic Quarter, it has spread by self-seeding, and provides a very attractive sight in the spring every year, especially after rains. 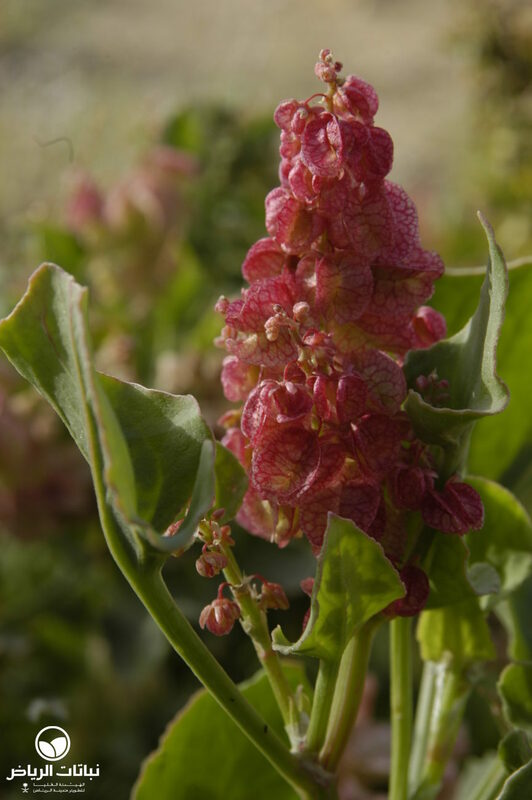 With increasing heat, Rumex will vanish during summer until the following winter or spring. 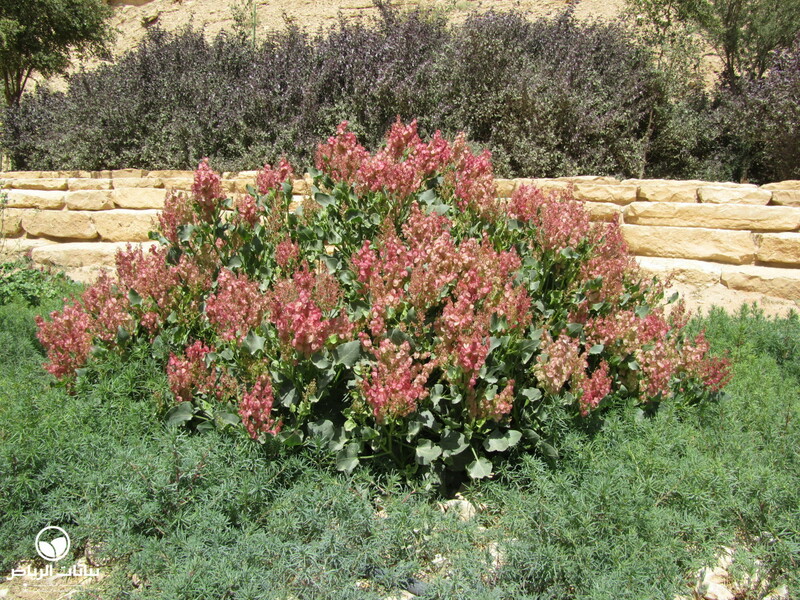 For landscape design purposes, Rumex is useful in open country as a coloniser and slope stabiliser. 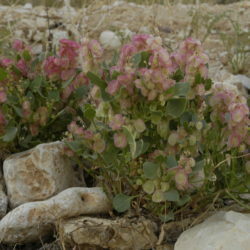 Because it is native in the Kingdom, it is valuable for the rehabilitation of natural plant cover. In seed mixtures, it will support natural soil preparations in its pioneering function. 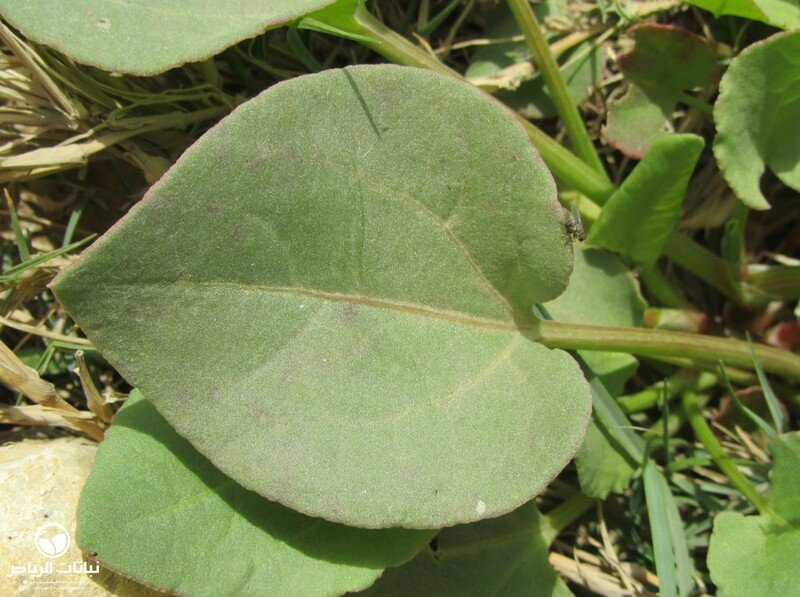 Rumex is valuable as a groundcover and bedding plant in urban situations, and has potential for use as an annual for street planting in winter.